By the time you take an Amazon delivery off your stoop, walk into your home, find a pair of scissors and open the brown box, you've already spent nearly as much time handling the package as Amazon's employees. 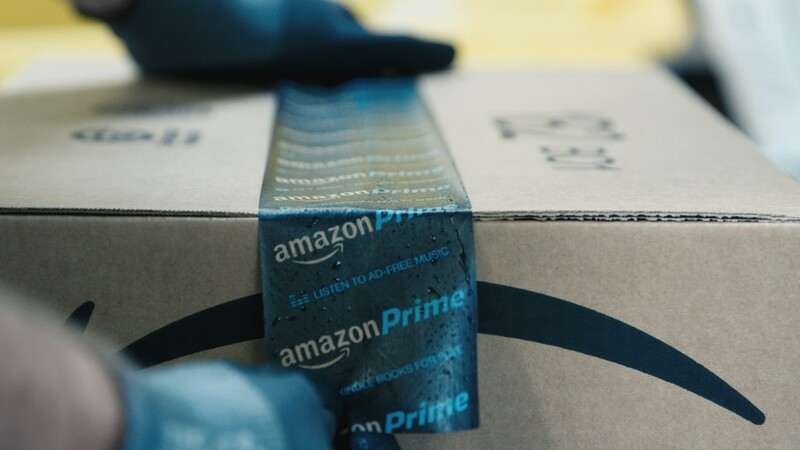 On a typical Amazon (AMZN) order, employees will spend about a minute total -- taking an item off the shelf, then boxing and shipping it. 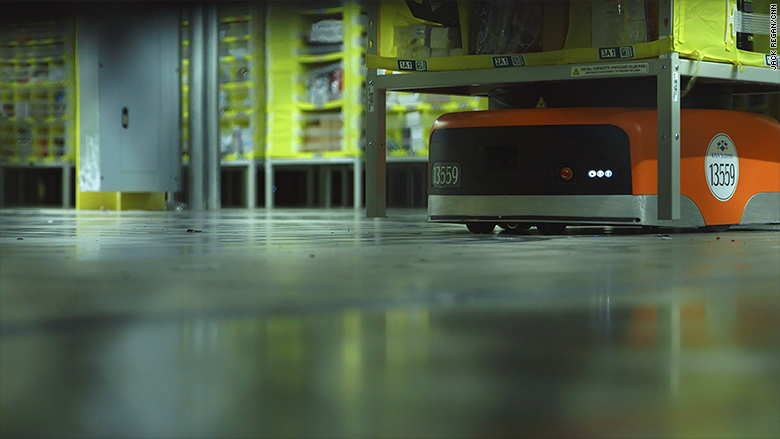 Amazon's addition of robots in 2014 allowed it to store 50% more inventory, according to the company. 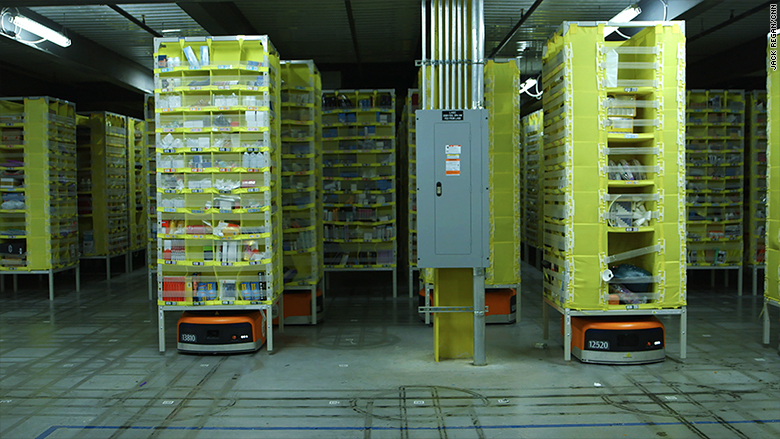 With the robots, Amazon can more tightly pack the bookshelves that hold items. In Amazon's Baltimore facility, which ships items smaller than a breadbox, everything can fit on the shelves. The shelves are partitioned into cubbyholes. Some of the slots are stuffed with multiple items, such as a few T-shirts and a six-pack of deodorant. 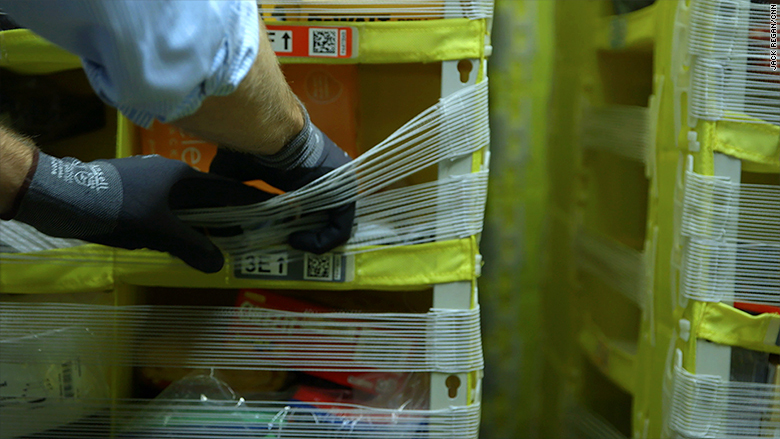 The yellow bins -- which are tracked as they move through the warehouse via their barcodes -- then meander along some of the eight miles of conveyor belts in each warehouse to another station, where an employee boxes the package. 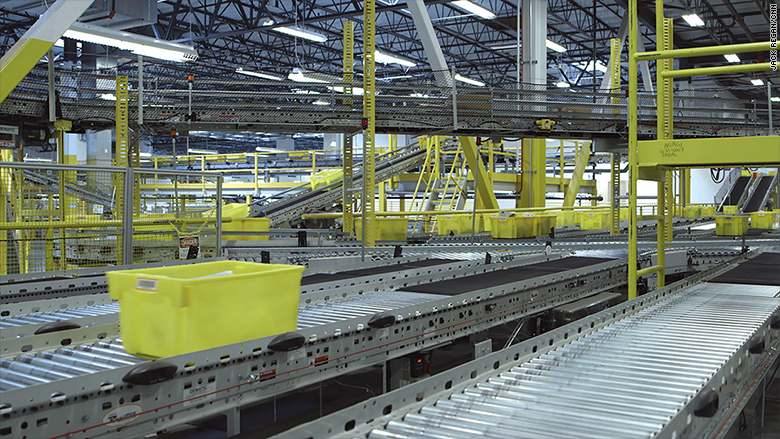 The careful coordination in Amazon's fulfillment centers is akin to a symphony. The buildings are remarkably loud too, making it tough to carry on a conversation amid the whirl of the conveyor belts. After a package is back on the conveyor belts, it goes through a machine where an address label is automatically stamped on the box. Some of these boxes don't even stop as a robotic arm descends and stamps the box with its final destination. 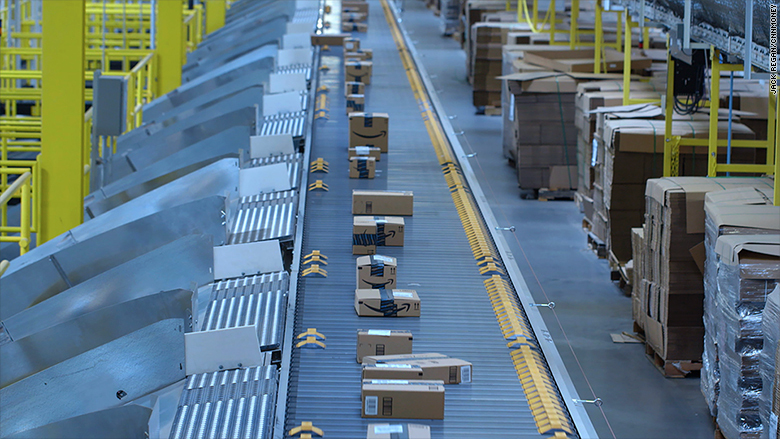 When the package crosses in front of the appropriate chute, an automated bumper slides across the conveyor belt, sending the package to the right truck. Amazon said it has about 3,000 full-time employees in its Baltimore fulfillment center, which is nearly a million square feet. Amazon hired 76,700 new employees in 2015 and 38,100 in the first six months of 2016 as it builds out its distribution network around the country. Even as its mastery of machines limits the employee input needed on each package, there's still a role for humans.